The Kilfinane moat stands c. 130 ft high and is surrounded by three great ramparts. The Fitzharris family occupied the area in Norman times and the ruins of a Roche castle is also contained within the town. The Fitzharris family was disposed of their lands during the Cromwell invasion and they were given to Robert Oliver. The Oliver’s laid out the modern town around the town square and they are the family responsible for the Palatines in the area of Ballyriggan wood with such places as Palatine Wood and Palatine Rock. In 1798 Captain Charles Oliver executed Patrick “Staker” Wallace of the United Irishmen. In the past Kilfinnane was a prosperous market town with a thriving Flourmill and a centre of the local Flax industry. Kilfinane today is a busy town with a lot of urban renewal. The Education Centre opened by Co. Limerick V.E.C. offering educational course to all ages as well as a cultural activities as well as beautifully laid out gardens and grounds. Ballyhoura Failte Ltd. and Ballyhoura Development are situated in the town. 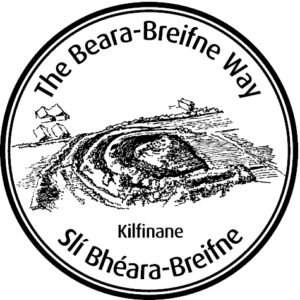 A short distance outside the town past Cush Earth Works archlogical site on the slopes of Slievereagh you will find Ballinvreena and Glenbrohane. Ballinvreena Community holds traditional cross road dances every Sunday night during the summer months. Glenbrohane has a pre-emancipation church still in use. During the 20th century, a small gold brooch was found and is now located in the National Museum in Dublin. Kilfinnane is part of the ancestral home of the Roche in Ireland. 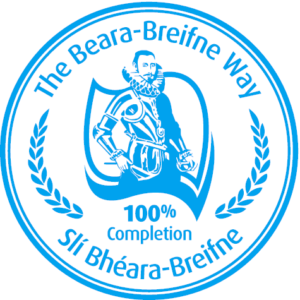 It forms a stage of the Ballyhoura section of the Beara-Breifne Way which is based on the historic march of O’Sullivan Beara in 1603.